This was the lightest week ever for me. I was in Hawaii for the first time (paradise! ), so I didn't get a whole lot of new books, and I didn't blog a lot but I did read a lot. Am I the only one who is struggling with time management with Christmas approaching? I feel resentful of the reading time I'm losing to running errands, shopping and baking. Not a real problem, right? 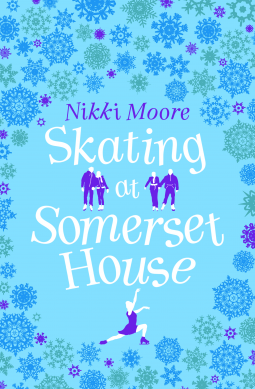 Skating at Somerset House by Nikki Moore....There’s nothing Holly Winterlake loves more than Christmas and skating, so working as an Ice Marshall at London's Somerset House is a dream come true.